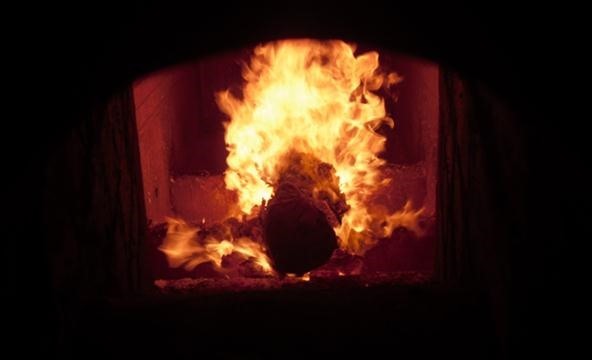 Perhaps one of the creepiest portmanteau words out there, CREMAINS combines CREMATED and REMAINS to clearly describe the leftover ashes from a dead body that was burned. When you're grieving, it's so much easier to say two syllables than five. 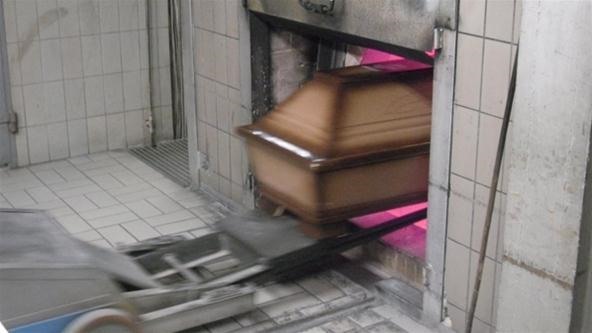 CREMATION happens in a CREMATORIUM in a special kind of furnace referred to as a cremation chamber or RETORT. 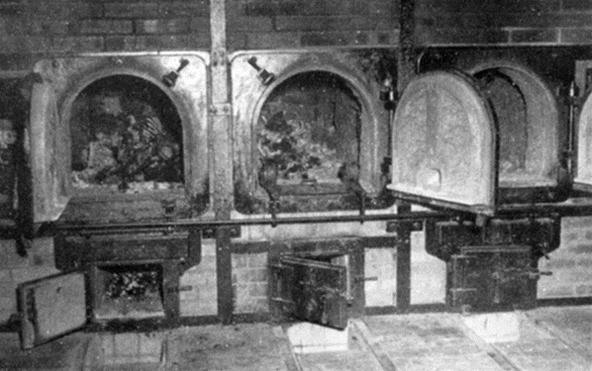 The dead body is entered into this burning device by an UNDERTAKER or MORTICIAN who thoroughly CREMATES the remains for two or more hours in extreme heat ranging from 1400 to 2100 degrees Fahrenheit. Well, not really ashes. And not yet. 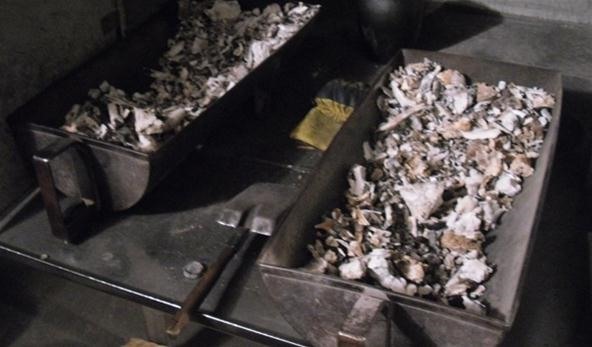 The organs and soft tissue are vaporized and oxidized by the intense heat, so the cremains have neither the appearance nor the chemical properties of ashes. Instead, they are bone fragments that need additional preparation, further reduced in size in a cremulator (which is not a Scrabble word, though it should be! 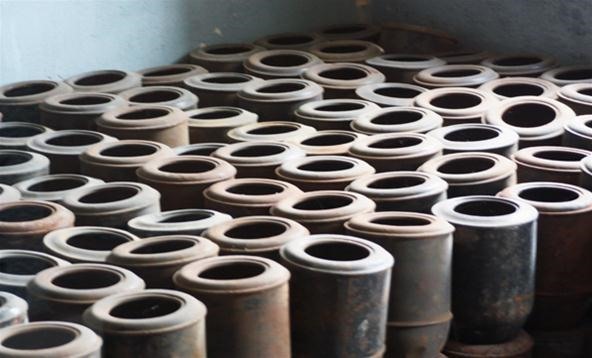 ), which pulverizes the fragments into a fine powder in a process lasting about twenty minutes. After the final grinding process, the cremains are stored in CINERARY urns and temporarily stored in a CINERARIUM. They are eventually either buried in a cemetery plot, kept in a COLUMBARIUM, retained by a family member, or scattered on private property. 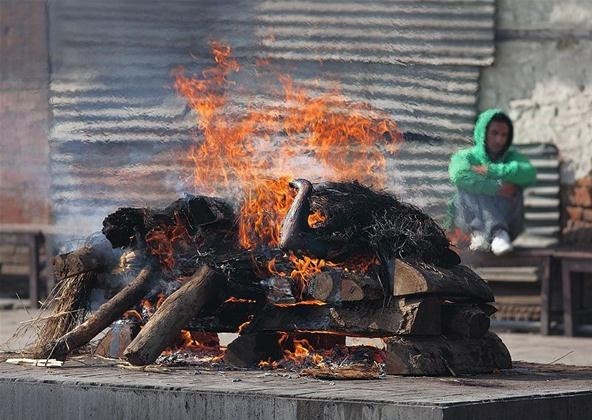 Some countries and religions perform public open-air cremations as part of a burning rite, as seen below in Kathmandu, Nepal. Oddly enough, the Cremation Association of North America opposes the term "cremains" because it's thought to have less human connection with the deceased, rather than "cremated remains." 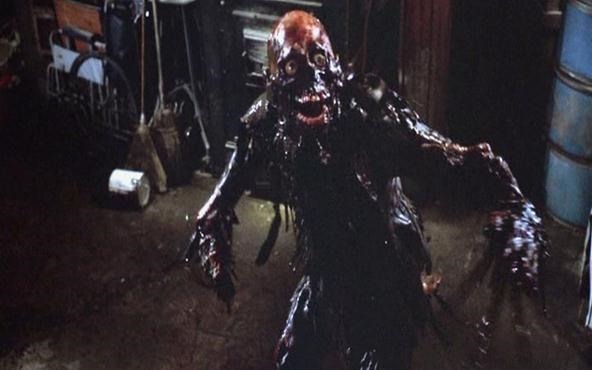 One of the greatest Halloween movies (in my opinion) to deal with the cremation process is The Return of the Living Dead, a funny take on the zombie genre where zombie containers stored in a medical supply company are accidentally unsealed, leaking gas into the air, causing the dead to become undead. One body is cremated, further distributing the gas into a nearby cemetery. 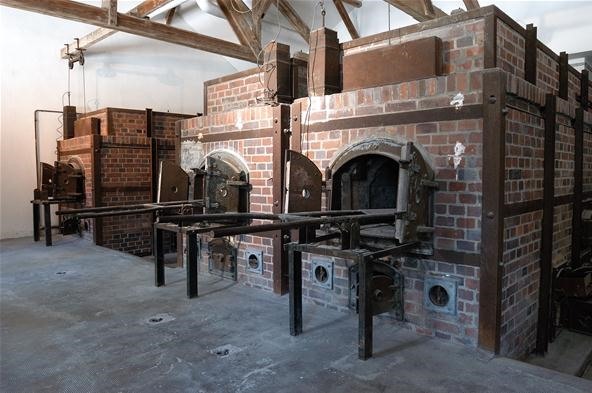 Above, a crematorium at the German concentration camp in Weimar.